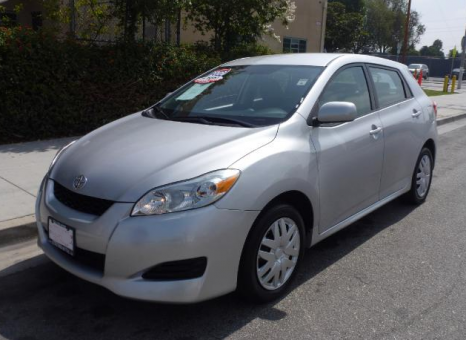 The 2009 Toyota Matrix offers a sporty, but practical and reasonably priced alternative to either mundane sub-compact cars or bulky crossover SUVs. Released as an early 2009 model, the new Matrix gets more appealing styling, an optional 158-horsepower 2.4-liter engine, crisper steering feel and more precise handling. The performance-oriented XRS trim level returns, as does optional all-wheel drive. As with the previous Matrix, there's plenty of room for four adults and the rear seats fold down to create a flat, voluminous cargo area. Main competitors for the Matrix include the MAZDA3, Chrysler PT Cruiser, Honda Civic and the Matrix' fraternal twins, the Toyota Corolla and Pontiac Vibe, which are all built in the same Canadian factory.